Hats Off to Joan Leotta! Hats Off! to Joan Leotta whose short story "Unexpected Gift" will appear in the December issue of Clubhouse magazine. Also, her poem "Caught" was selected as one of the July, 2018, winners of Nancy Smith's Women Speak ekphrastic competition; Joan's poem "Whirl, Whorl, Whirlpool" has been posted on Visual Verse for August; and her poem "In My Son's Voice" for their July challenge. Finally, The Ekphrastic Review published her poem "When God Calls." Hats Off to Clyde Edgerton and Lee Smith! Hats Off! 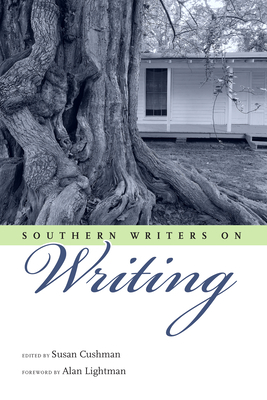 to North Carolina Literary Hall of Fame inductees Clyde Edgerton and Lee Smith, whose essays are included in the new anthology Southern Writers on Writing (University Press of Mississippi, 2018), edited by Susan Cushman. "Insightful, inspiring, and sometimes contentious," says Beth Ann Fennelly, the poet laureate of Mississippi, "Southern Writers on Writing is as complicated and diverse as the South itself. This collection is required reading for anyone who hopes to understand our fraught and blessed region." Hats Off to Sylvia Freeman! Hats Off! to Sylvia Freeman whose poem "Muse" was one of the May winners in Nancy Smith's Women Speak ekphrastic competition, where women writers are invited to respond with poetry or prose to select Smith paintings. Hats Off to Sam Barbee! Hats Off to Lee Smith! Hats Off! to Jamie Rogers Southern who has joined the Southern Independent Booksellers Alliance Board of Directors. She will attend the #SIBA18 Discovery Show, where she will be welcomed to the board at the SIBA Annual Meeting + Town Hall on Friday, September 14, at 9:00 am. Jamie is the Operations Director at Bookmarks. Bookmarks is a literary nonprofit organization based in Winston-Salem, North Carolina.